I had not been to Florida for 33 years, so I was excited to visit the Sunshine state in early October. 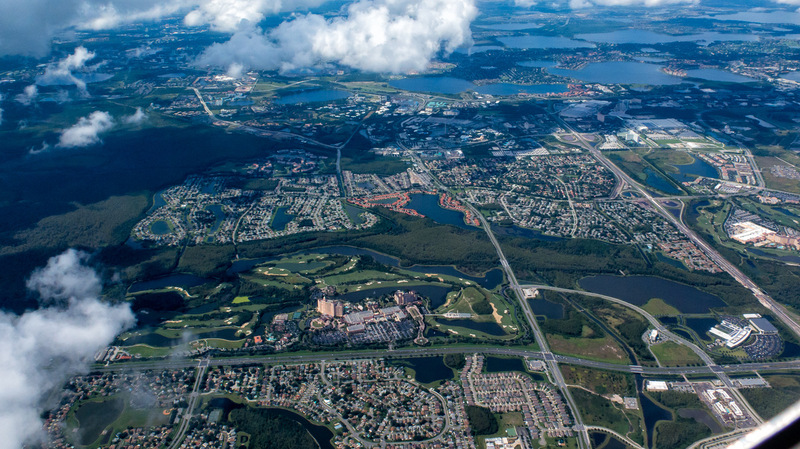 As I flew over the Orlando area, I was surprised to see so much water. The landscape was dominated by wetlands and lakes, development, and small pockets of woodlands. Of course, more water was on its way — Hurricane Matthew was gaining strength and heading toward Florida. That gave an edge to the trip that I really didn’t like, but there I was, ready for a conservation adventure. Florida averages 300 sunny days a year, but it also gets a lot of rain. 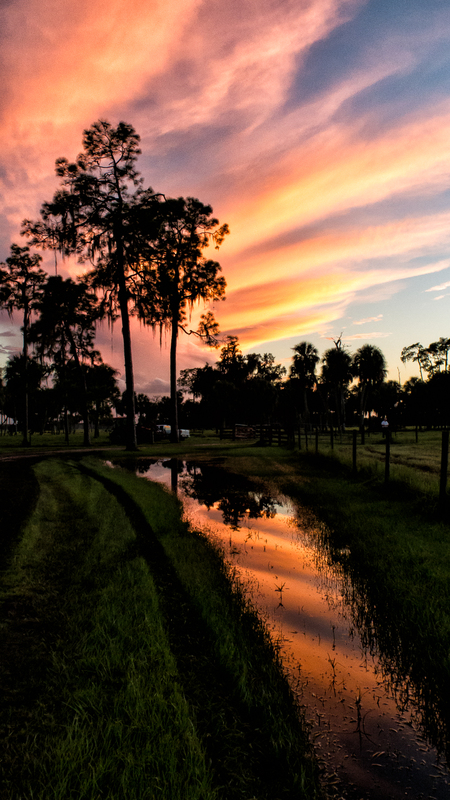 I was invited to attend the 9th Annual Private Lands Partners Day, held in Sebring, Florida. The Partners for Conservation (PFC) encourages conservation on private lands by collaborating with landowners, federal agencies like the US Fish and Wildlife Service, and conservation organizations like Audubon, National Wildlife Federation, and many others. The PFC brings people of diverse backgrounds to the table to develop conservation action plans for species of concern. I was invited because of the habitat work accomplished on our property to benefit Golden-winged Warblers. 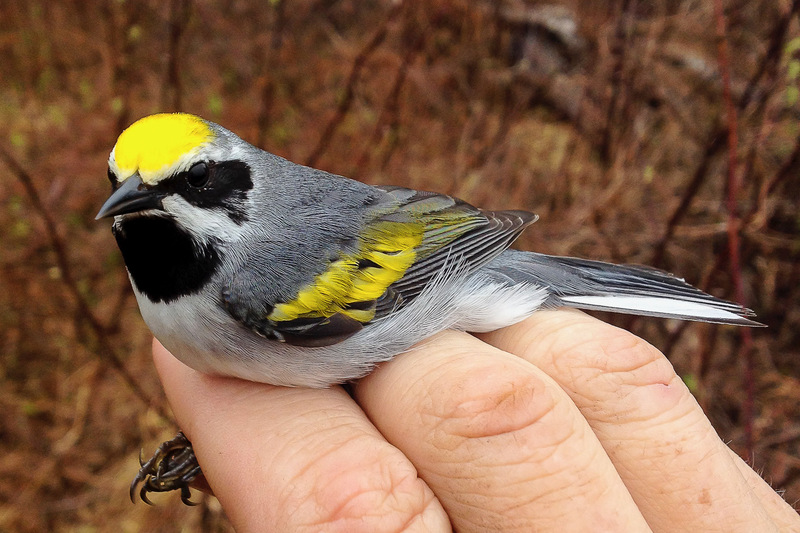 D. J. McNeil took this photo of a Golden-winged Warbler while conducting research on this rapidly declining species. Vast expanses of undeveloped, open land — tens of thousands of acres. 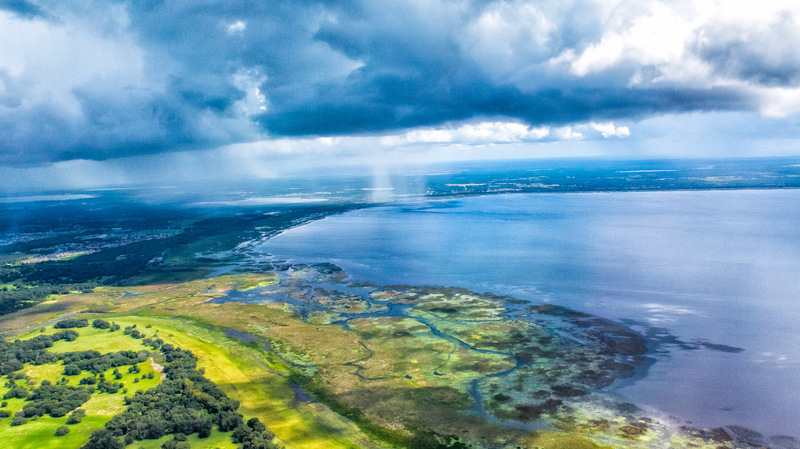 Water-holding practices — to keep water on the land so it can flow more slowly to the Everglades. These ranches sit at the headwaters of the Everglades. Swaths of forests full of native trees, ferns, and palmettos. Huge flocks of birds: Wood Storks, Glossy and White Ibis, Roseate Spoonbills, Sandhill Cranes, Egrets, Wild turkeys... I was in birder’s paradise! 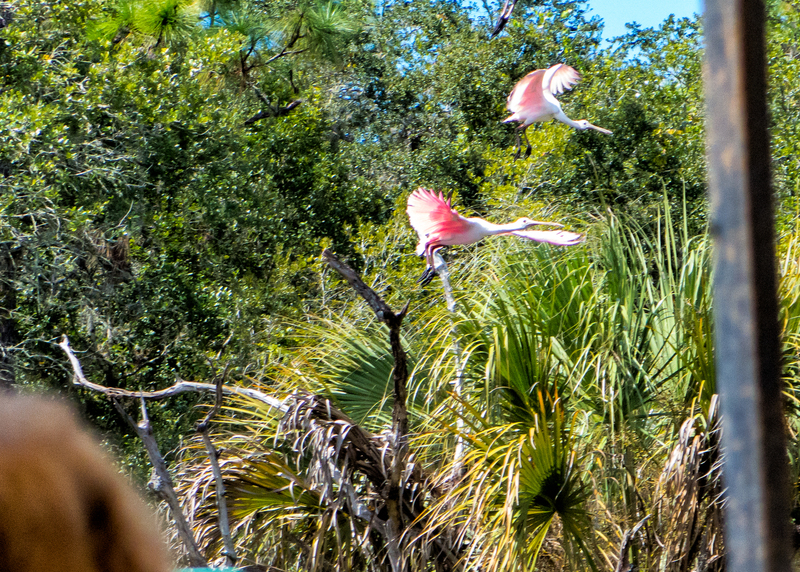 I was only able to photograph two of a small flock of Roseate Spoonbills that flew from a small pond on one of the cattle ranches that we toured. 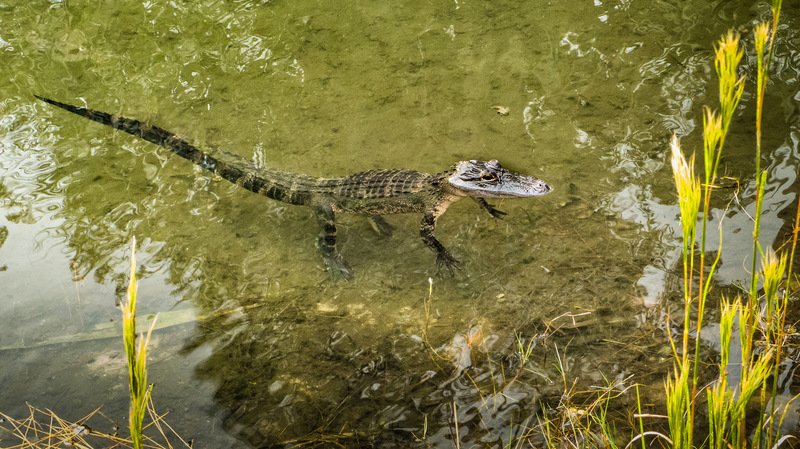 This small alligator was much easier to photograph than the birds. One ranching family keeps 40 percent of its land undeveloped, even though there are intense development pressures on these ranchers. Thank goodness many of them have a strong stewardship ethic to conserve the natural resources and many have put their ranches in conservation easements. A conservation easement allows the family to retain ownership of the ranch, but it can’t be developed. This preserves the land, the wildlife, and Florida’s history. 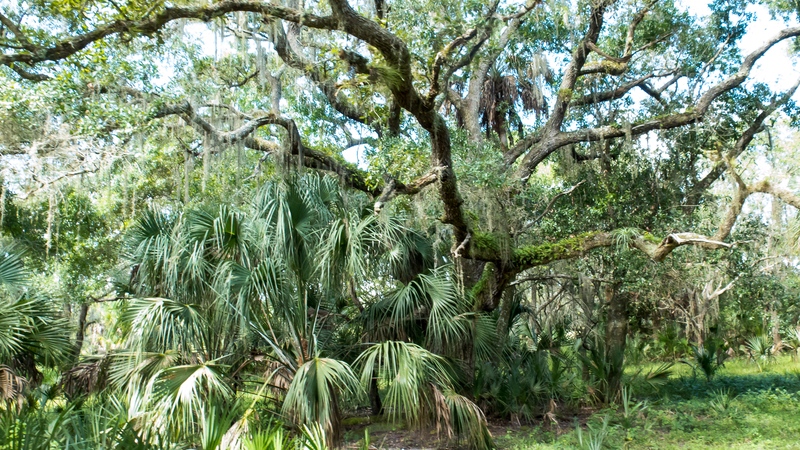 Research has shown that the saw palmetto (in the foreground with a live oak tree behind it) provides critical habitat for the Florida panther and the Florida black bear. The cattle ranchers manage for cattle, bears, and panthers. These huge ranches were astounding and much different from the farms and woodlots that we have in Pennsylvania, but we did share a love of the land and a desire to protect it from development. If you own undeveloped property, I encourage you to consider getting a conservation easement. We have donated an easement on our property to the Western Pennsylvania Conservancy. We want our forest to continue as an important habitat for birds and other wildlife. 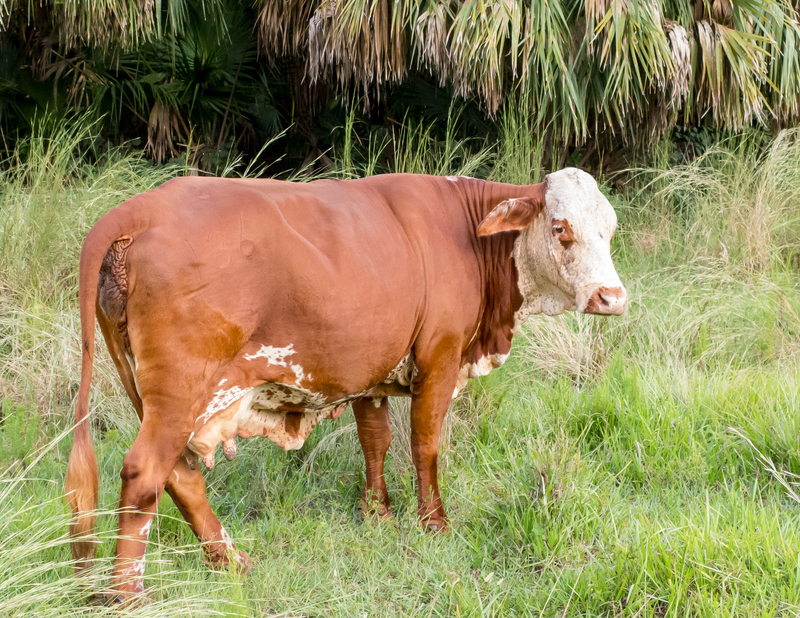 The Braford breed was developed on the Adams Ranch when Hereford bulls were crossed with Brahman cows. The Adams Ranch maintains wild places for wildlife, even though it is one of the largest cow-calf ranches in the U.S. I had to leave Florida a day early, thanks to Hurricane Matthew, but I won’t wait 33 years before I go back - with bird book and binoculars in hand. The old saying maintains that, “Red at night sailor’s delight,” but Hurricane Matthew struck the next day.